Model 3DDX is a two level wire display easel has an offset top deck for displaying combinations. Top deck size 1 1/2" deep x 4" wide. 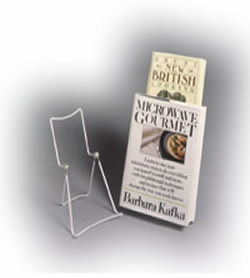 This display easel model can be used as a book stand or for anything your imagine will allow. 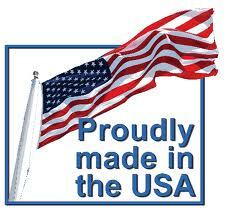 Constructed of durable vinyl coated steel wire. Machine-riveted for continuous firm tension, to allow easy hand-setting of desired angle. Perfect for trade or book shows.